Be consistent. Be confident. Get great skin. 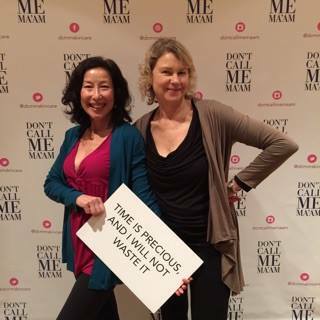 Don’t Call Me Ma’am is a new brand of skin care whose products contain ingredients that are good for you (no Parabens, sulfates or harsh chemicals), packaging that is good for the earth (recyclable) and attitude that is good for the soul (live life to the fullest and be beautiful at every age). The mission of Don’t Call Me Ma’am is to capitalize on and grow the changing relationship that women have with the concept of beauty and the meaning it has in their lives. In fact let’s change the conversation – let’s stop talking about beauty and start talking about health. Let’s talk about how the ingredients in most skin care products contain toxic ingredients that are absorbed through the skin with potentially adverse health consequences. And how most advertising campaigns present idealized images of beauty that are toxic to the soul. Our customers are women in their 30s, 40s and 50s who lead busy lives. They are career women, professionals, mothers, wives, lovers, adventurers, runners, cyclists, dancers … In short they are living life to the fullest and are looking for a brand that understands and caters to their lifestyle. They do not aspire to emulate the static, photo-shopped youth-dominant images of beauty offered up by most cosmetic companies. And they only want to put skin care containing healthy ingredients onto their skin. The Don't Call Me Ma'am brand connects emotionally with women, leading to the initial purchase of Don't Call Me Ma'am products. The efficacy of our products, formulated using cutting-edge formulas and ingredients is what builds their brand loyalty and keeps them coming back for more. At Don't Call Me Ma'am we currently offer 11 core skin care products and will be adding new products quarterly once our initial customer base is established. Customers can create personalized skin care package subscriptions at the delivery interval of their choice. Wash It Away Everyday Cleanser: Gently wash away your day along with makeup, dirt and residue. 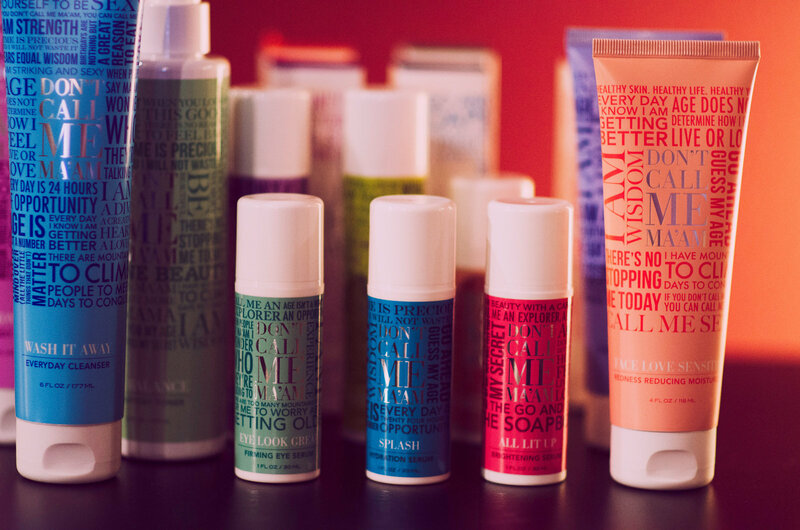 The soothing chorus of natural ingredients will leave your skin toned (never tight) and irresistibly bright. In Balance Everyday Toner: Bring your skin back to its natural state of zen with this calming toner. Just a few smooth swipes will eliminate inconsistencies and protect you against inflammation. Face Love Moisturizer: Love the skin you are in with this luxurious, everyday moisturizer. This naturally-hydrating formula binds moisture to the skin and promotes soft and supple tissue. Face Love Sensitive Moisturizer and Redness Reducer: This intense moisturizer does double duty by lifting any signs of red up, up and away. Be soft. Be smooth. Be even-toned. Beautiful. Face Love Sun Moisturizer with SPF: Protect your future skin and the skin you are in with the kiss of SPF 30. Your face will flourish with supple ingredients that make you shine more brightly than the sun. GoodNight Cream: The day is over but the healing has just begun. Recover and recharge with this strengthening mix that will protect your skin for many moons to come. Splash Hydration Serum: Make a splash with radiant, healthy skin. This serum encourages tissue regeneration while offering intense moisture for the skin. Eye Look Great Firming Eye Serum: Your eyes are your windows to the world so of course you want to keep them radiant and bright. Let this serum rejuvenate tired eyes for wink-worthy beauty. The Protector Firming Serum: Look as young as you feel with improved elasticity and tone in your skin. Protection, strength and nourishment all rolled into one great companion for all of life’s adventures. All Lit Up Brightening Serum: It’s your moment to shine. Invigorate your skin with this lively serum that will prepare your pores for center stage. Gimme More C Vitamin Serum: ‘C’ is for clear, crisp and complete. The wonder vitamin is one of nature’s great gifts and now you can take advantage of all its fabulous properties with this intense vitamin serum. Body Love Cream: You deserve the best and so does your skin. Let yourself go with the soothing ritual of a luscious body cream designed to take you from maximum speed to maximum relaxation. 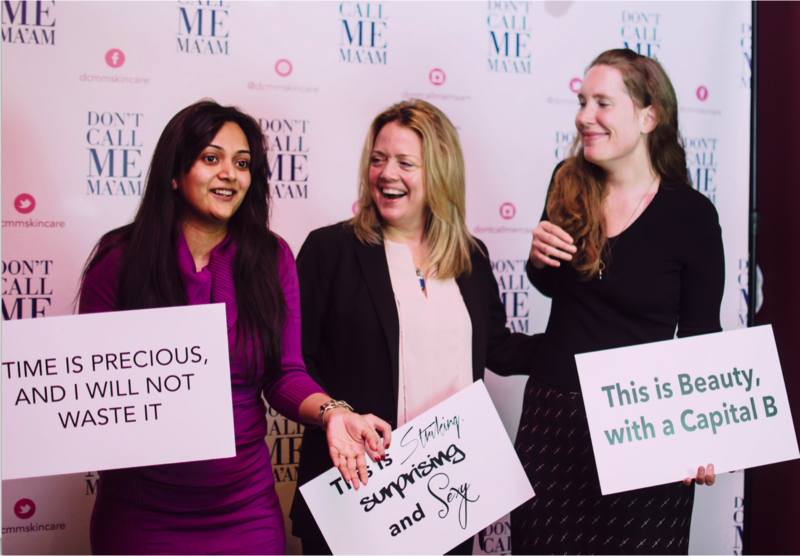 The Don't Call Me Ma'am ecommerce site went live in November 2014 and a launch party was held in Mid-December for media and women influencers. The 'Naked Party' was a great success and led to numerous positive media reports on the launch of the new brand. "Establishing a skin care routine that meets my needs and does not cost an arm and a leg can become quite overwhelming. With dry and sensitive skin, I must find products that moisturize yet, contain gentle and mild ingredients. Although my requests for skin care products do not seem extravagant, I am left feeling completely clueless when browsing the beauty aisle. From products that swear to enhance and boost every feature, to those that promise to turn back the signs of aging all packed with harmful chemicals, I am left with few options that address my simple yet, very common requests. After experiencing Don’t Call Me Ma’am’s skin care products, I am so impressed and satisfied. All of the items I tried enhanced my skin’s softness and over all feeling, while the gentle ingredients caused no irritation. With the needs and desires of real women in mind, Don’t Call Me Ma’am provides customers with top of the line, natural face and body products that make beautiful and healthy skin easy to achieve." In January Don't Call Me Ma'am held a sales event on Zulily and has a number of other flash sales scheduled for the coming months. The Don't Call Me Ma'am brand message and business model are unique.The vast majority of Skin Care today is sold in retail stores. Web orders are steadily increasing but today those are repeat orders for products first purchased at retail. In addition to our unique branding, Don't Call Me Ma'am is the first subscription model of skin care sold exclusively on the internet. Customers feel safe trying our product because of our Love it or Return it policy. Products are sold in packages (additional products can be added to any package), paid for monthly and shipped at the customer determined interval (90, 120 or 150 days). The contents of the package can easily be changed online at any time. High quality product at a moderate price and a positive life-affirming brand message combined with the convenience of free shipping to the home on a regular schedule, and that can be easily returned or exchanged is how we are completely different from other skin care brands. Seasoned entrepreneur, leader and business professional. Ilene is an experienced management consultant and business leader with over 25 years of leading projects in corporate transformation, new product development and commercialization and IT performance management. She is a graduate of McGill University. Kathleen is the President of Viviane Skin Care since 2007. A graduate of Stanford, she worked in management at Mobil Oil, owned a franchise in the fitness industry, worked in accounting for Gencor Corporation, served as board chair for three non-profit organizations and spearheaded successful capital campaigns and various other fund raising efforts. Jonathan has been employed in senior financial, operational and management positions within the cosmetic manufacturing, Direct Selling, Consulting and Auditing industries for the past 17 years. He is member of the South African Institute of Chartered Accountants and Registered Accountants and Auditors Board. Rob is the Chairman of ProLab Health and Beauty. He had previously been involved in the operations of SeaVan Health & Beauty Partnership, representing its largest secured lender on the board, since 2004. Rob is a graduate of Stanford University and Columbia University School of Law.